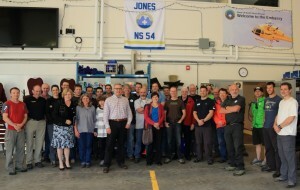 The Billings’ family including Tom’s – mother, father and sister flew into Vancouver on Monday. 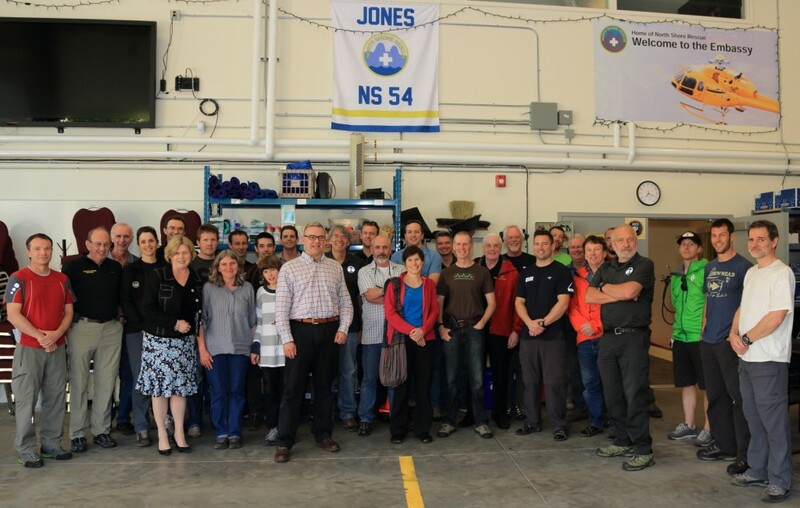 This was to personally thank NSR members and view first hand the hard work and considerable terrain covered in the search for their missing son – Tom Billings. 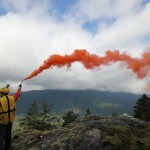 In addition to walking some of the trail of his intended destination, they had front row seats on a medical rescue on Mt Seymour when we were alerted to a Spot locator activation while with team leader, Mike Danks. Rather than leave them behind they accompanied Mike and watched and listened as the team carried out the search and subsequent rescue by stretcher to an ambulance called by the team. 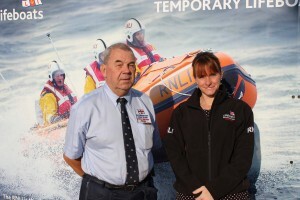 At 7pm on 22 May, Channel Divisional Operations Manager, Richard Weeks placed the first Shannon in the South West, R and J Welburn on service at Exmouth RNLI. 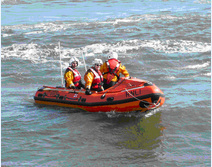 After a week’s intensive training period, crew volunteers took part in a Pass Out assessment on the afternoon of 22 May. For seven consecutive days, teams of volunteers had launched at approximately 9am and recovered at approximately 6pm to learn drills and familiarise themselves with their new Shannon lifeboat. Some dedicated volunteers had already spent a week away from their families and taken leave from employment to make this extra commitment towards preparing for their new state-of-the-art lifeboat. 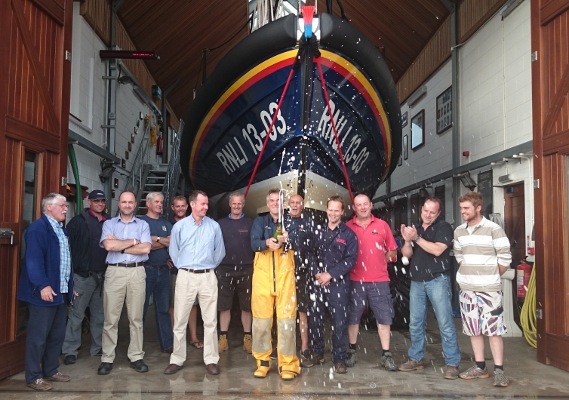 Channel Divisional Operations Manager, Richard Weeks declared the first Shannon class lifeboat in the South West operational; ‘Today marks the end of an intensive period of familiarisation training for the volunteer crew on the new Shannon class lifeboat at RNLI Exmouth lifeboat station. I’m delighted to formally place R and J Welburn on service at Exmouth, starting a new era of rescue with this highly technical and capable lifeboat.’ R and J Welburn replaces the Mersey class Margaret Jean as the station’s all-weather lifeboat. After six years’ dependable service, the Mersey will return to the relief fleet at Poole once more. 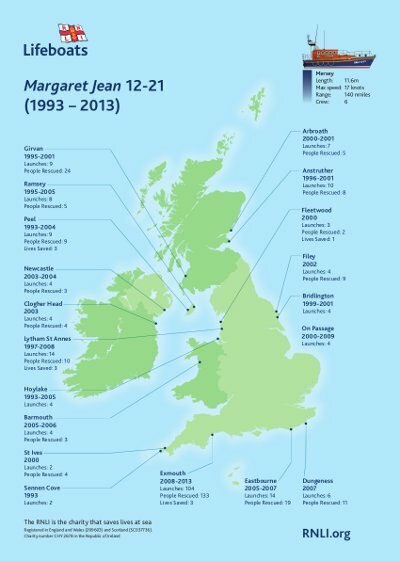 RNLB Margaret Jean was built as a relief Mersey class lifeboat in 1991 and for the last 20 years has served 18 of the charity’s lifeboat stations around the UK and Ireland. On 25 May at 9am, crew volunteers aboard the Shannon class R and J Welburn escorted RNLB Margaret Jean out of the Exe estuary for the very last time. 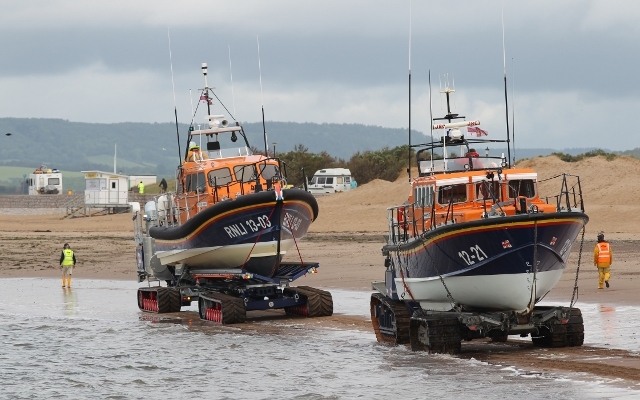 Notes to editors Photos: (credit Exmouth RNLI) PR260514 Shannon in operation Shannon class R and J Welburn leads Mersey class Margaret Jean to launch from Exmouth beach for the last time. PR260514-3	Shannon in operation Exmouth RNLI Crew volunteers celebrate as their Shannon class is declared operational. 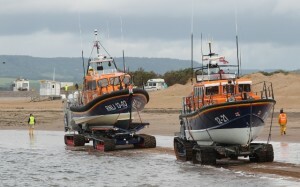 Shannon class R and J Welburn leads Mersey class Margaret Jean to launch from Exmouth beach for the last time. Exmouth RNLI Crew volunteers celebrate as their Shannon class is declared operational. 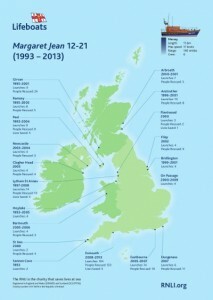 Map of RNLI lifeboat stations where Margaret Jean has served in the last 20 years. At 7pm on 22 May, Channel Divisional Operations Manager, Richard Weeks placed the first Shannon in the South West, R and J Welburn on service at Exmouth RNLI. Due to an administrative mix up, Sunderland Lifeboat Guild are taking part in this weekend’s TESCO’s National supermarket collection on behalf of the RNLI. A man was saved of Whitburn Beach just days ago after being cut off by the tide, so this is essentially a lifesaving operation. We are really desperate for volunteer collectors due to a confusion with dates. Tesco’s would certainly be worth contacting for further info as well as ourselves. 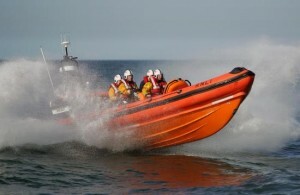 We have been raising funds for Sunderland Lifeboat and the RNLI since 1867. However we are becoming rather aged and really need younger people to take part in our activities. One or two hours on any or all of the three days would be fine, anything to suit really. While North Shore Rescue has decided to move away from “live bait” swift water rescue, our members still receive training in downstream containment, river search, and general safety. On Tuesday night members received a lecture and practical session from our expert technicians. 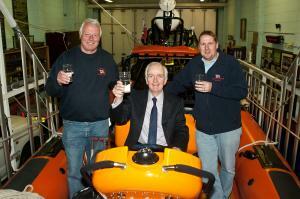 On May 17th 2014 the head of Weston-super-Mare RNLI lifeboat station retires from the RNLI after 40 years’ service. 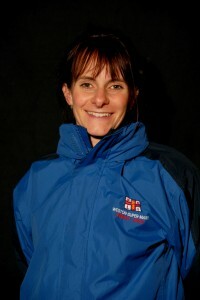 His place as the senior officer of the station is being taken by Charlotte Conroy, an experienced lifeboat crew member and launching authority. 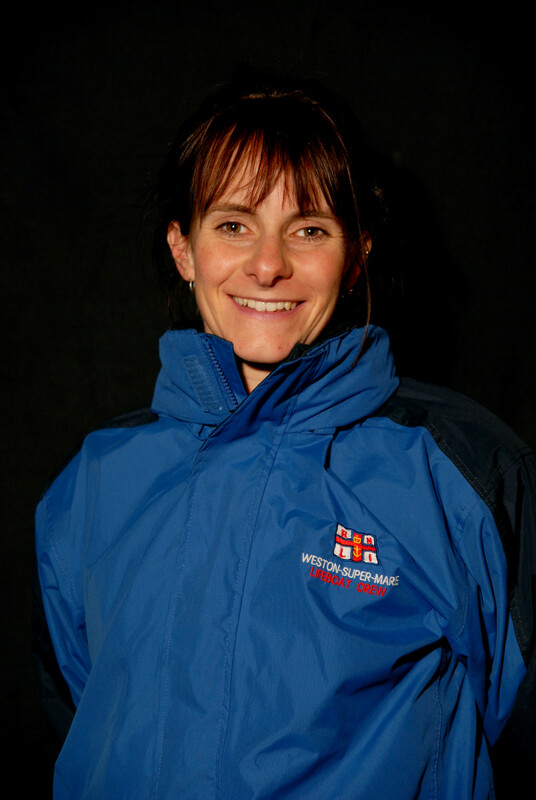 She will be only the fifth female Operations Manager in the 236 RNLI lifeboat stations in the UK and Ireland. 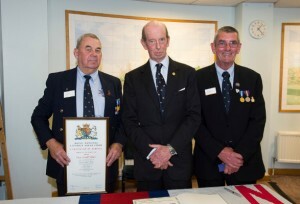 HRH The Duke of Kent pictured at the Winter Gardens reception where he presented two Long Service Awards to Peter Holder, Lifeboat Operations Manager and Richard Spindler, Deputy Launching Authority. Weston-super-Mare RNLI enjoyed a royal visit today (Thursday 15 May) when The Duke of Kent met volunteer lifeboat crew at their station at Knightstone Harbour. Portland Coastguard tasked Exmouth RNLI inshore lifeboat, George Bearman at 9.16pm on 15 May, following a VHF call from a Rigid Inflatable Boat. May 15, 2014—Prosecutors have now brought murder charges against the captain and three other crew members of the Sewol, the South Korean ferry that capsized last month, leaving 304 people dead or missing. They could face death sentences, but are unlikely to face execution as South Korea has a moratorium on capital punishment.